We are confident your pupils will enjoy this programme. This bookbag resource includes core PE skill-based activities to practice at home, ideally with a parent. In this pack, you will find 6 different KS1 resource cards in sets of 35 copies – enough for the whole class. Permission to reproduce for use within your school is granted.The principle is simple, choose a starting card and give to your pupils to take home. They keep and practice the activities at home for one week. Activities get progressively harder – the larger the animal, the more challenging the activity and the more fun! The principle is simple, choose a starting card and give to your pupils to take home. They keep and practice the activities at home for one week. Activities get progressively harder – the larger the animal, the more challenging the activity and the more fun! Want to take it a little further? Why not ask your pupils to demonstrate the activities in a PE lesson to show you they have been practicing. Alternatively, this could be a job for your KS2 sports/play leaders to check the progress of the pupils at lunchtime or in golden time. There is lots of flexibility so you can deliver however is best for you. 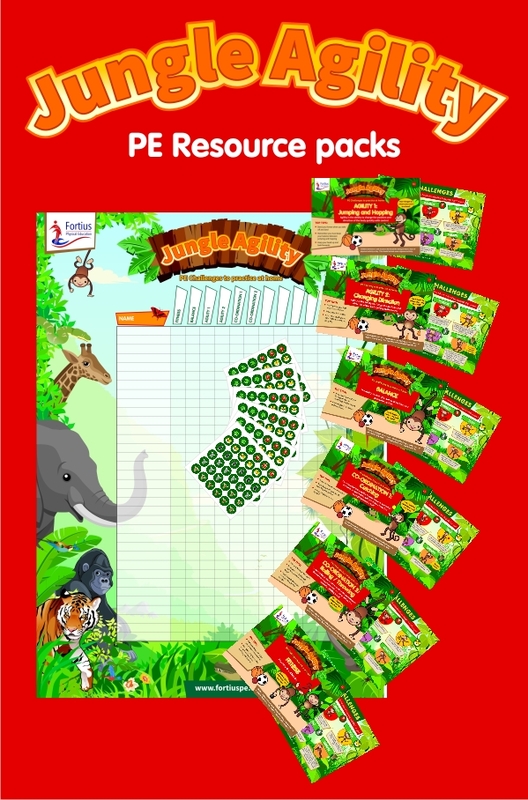 Order your PE Resource packs today for only £45.00 per pack (plus £5 postage). Watch this space for forthcoming resources for yr3/4 and yr5/6! 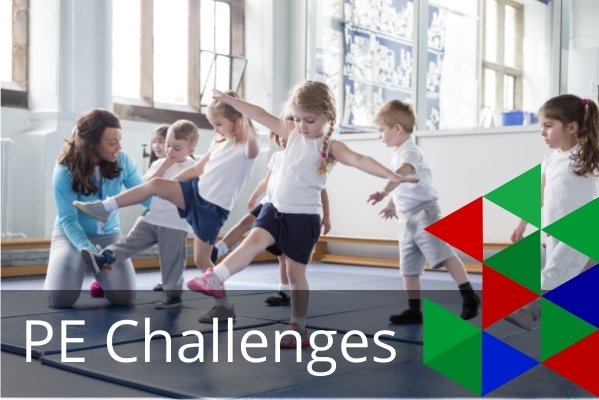 210 resource cards: these are 6 sets of 35 cards in the following skill areas: balance, agility 1, co-ordination 1, agility 2, co-ordination 2 and fitness. 2 A3 posters so you can deliver the programme to multiple classes!